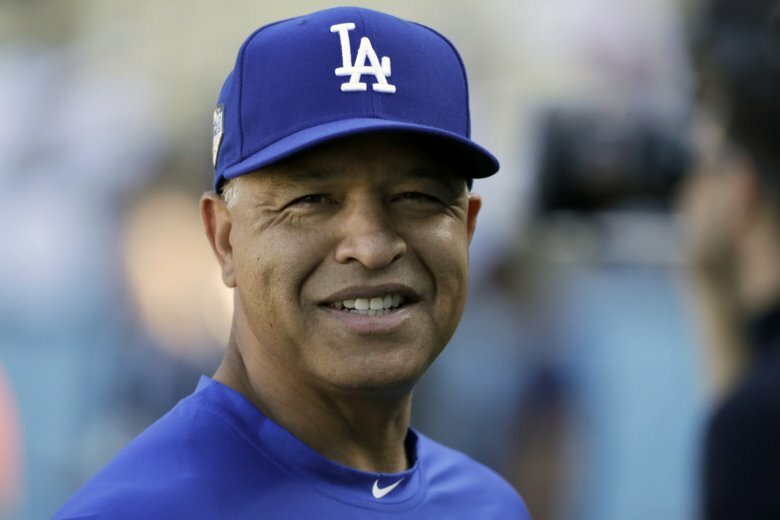 LOS ANGELES (AP) — Dave Roberts and the Los Angeles Dodgers agreed to a four-year contract extension Monday that would keep him as manager through 2022. The 46-year-old skipper led the team to consecutive World Series appearances for the first time since 1977-78. The Dodgers lost in five games to Boston in October, and lost in seven games to Houston in 2017. In three seasons, Roberts is 287-200 overall. The team has won three straight National League West titles under him and two straight NL pennants. Roberts was the 2016 NL manager of the year. “Keeping Doc as our leader on the field was a top priority this offseason and now that we’ve accomplished that we are excited to collectively shift all of our focus to doing all we can to bring a world championship to our passionate fans,” Andrew Friedman, president of baseball operations, said in a statement. The team had previously exercised Roberts’ option for 2019; the deal announced Monday gives him an additional three guaranteed years. Roberts is the first Los Angeles manager to lead the club to the postseason in each of his first three years. His low-key demeanor has played well in a clubhouse where some high-profile players have had to take lesser roles because of the overabundance of talent on the roster. Roberts has gotten them to buy into the big-picture goal of winning a World Series, something the team hasn’t done since 1988. Roberts drew the ire of Dodgers fans with some of his postseason decisions, especially in the World Series, but clearly ownership and the front office believe he is the person to lead the franchise. The extension gives the Dodgers a continuity they haven’t had since Hall of Famer Tom Lasorda managed the team from 1976-96.